Forget bagels and cupcake frosting, cream cheese is now served as a whipped topping on tea, like the creamy milk foam on a cappuccino. The concoction, which would make any conservative tea-lover shiver, originated in southern China – but it’s now common in the Asia Pacific region and a handful of cafes in the US. The innovative “cheese tea” or “tea macchiato” is an example of how an unexpected ingredient, cream cheese, can be used in new categories to create unique textures. Increased demand for cream cheese in Asia, partially driven by sales of cheese teas, has resulted in New Zealand dairy co-op Fonterra investing NZ$150 million in two new cream cheese plants. While unexpected, cream cheese can produce thick, foamy textures and new flavors in many different beverages, and can also be added to coffees, lattes, or even hot chocolates. In order to appeal to Western consumers, cream cheese foams should pair up with familiar flavors, such as cheesecake or other baked goods, to help introduce consumers to the concept. For example, a cinnamon roll flavored latte could feature a thick, cream cheese foam. Creating a dense, velvety foam is as much a work of an art as it is a demonstration of scientific principles for baristas and bartenders alike. Foam is a key attribute in many beverages and certain cocktails, including fizzes and sours, are known to have a dense layer of foam from aerated egg whites. Hence, an indulgent cream cheese foam could also work well in cheesecake-inspired cocktails. The relationship between desserts and alcohol is a familiar one, with products such as dessert flavored spirits and spiked milkshakes blurring the lines between drink and dessert. While we’ve seen on-tap style nitro-foams in packaged beers, coffees, and even iced tea, there is an absence of ready-to-drink (RTD) cocktails with the same foaming technology. Packaging from other categories and innovations in foam-stabilising ingredients can provide inspiration to create rich, smooth foams in RTD cocktails; as long as the alcohol content isn’t too high that it interferes with foaming ingredients. In fact, this concept could be used to elevate the experience of drinking a beverage with a low alcohol content. For example, research on low- and non-alcoholic drinks shows that 17% of alcohol-drinking UK consumers would be encouraged to drink more low-alcohol or non-alcoholic drinks if there were more interesting flavors than currently available. Stumptown Cold Brew Nitro Cold Brew Coffee: This nitrogen infused cold-brew coffee from the US is described as creamy and extra smooth. 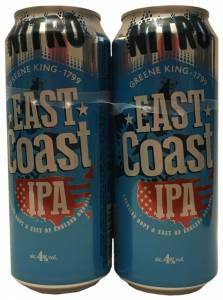 Greene King IPA East Coast Nitro Beer: This beer from the UK uses a special can to create a smooth, long lasting creamy foam like a traditional nitro draught pour. Changing the texture of a beverage will change the perception of how it tastes. The science behind how we perceive flavor is complex, with taste, aroma, and sensation all playing a role. As discussed in Mintel’s 2018 Food and Drink Trend New Sensations, experimenting with texture has the potential to engage younger iGeneration consumers who are hungry for experiences. 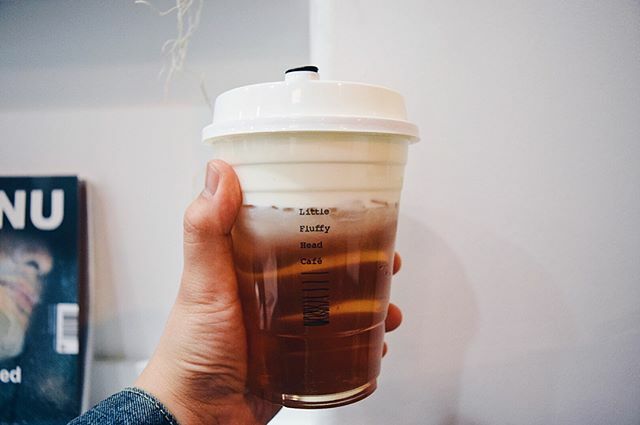 In the US, young male respondents aged 18-34 are most likely to express interest in unique textures, including bubble tea, nitrogen-infused coffee, or sparkling iced tea or coffee, compared to other demographics.